We understand that you’ve got a busy life. You’ve had a long day at work and want to kick back and relax. Or maybe you have family coming into town and simply don’t have time to go out and pick a tree, bring it home, and set it up. 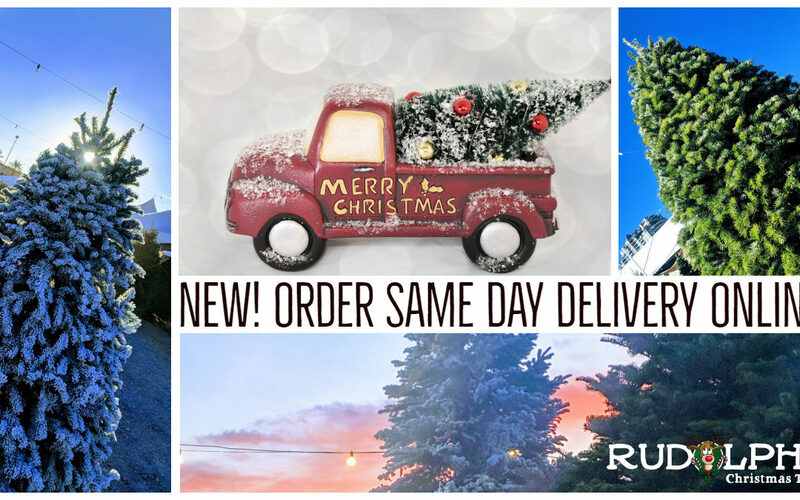 That’s why Rudolph’s Christmas Trees is excited to announce that we are now offering SAME DAY DELIVERY & SETUP on our Christmas Trees right from our website! We are officially the only Christmas Tree lot in Las Vegas to do so. Let us take some of the stress of the holidays off your back by doing the heavy-lifting for you! Don’t have a stand? No problem! We sell those! Want your Christmas tree flocked white? We got you! Although keep in mind, flocking will need at least 24 hours to dry, so plan ahead.